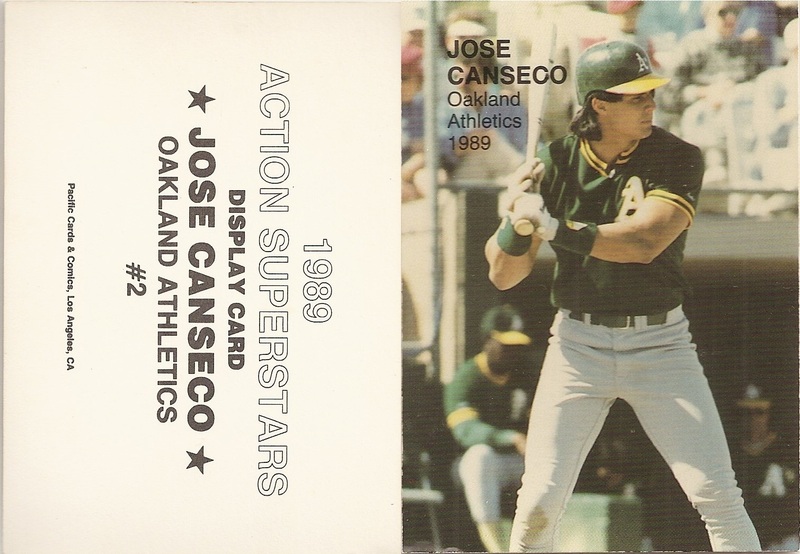 This unlicensed baseball set is numbered from 1-5, but multiple players share the same number, so I am aware of seven different cards. 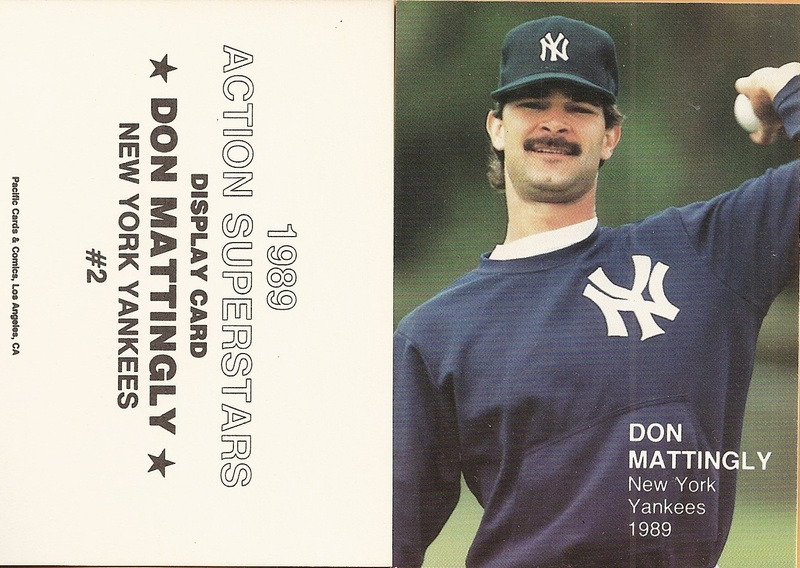 The cards are regular size, measuring 2 1/2 x 3 1/2 inches and have no border and square corners. 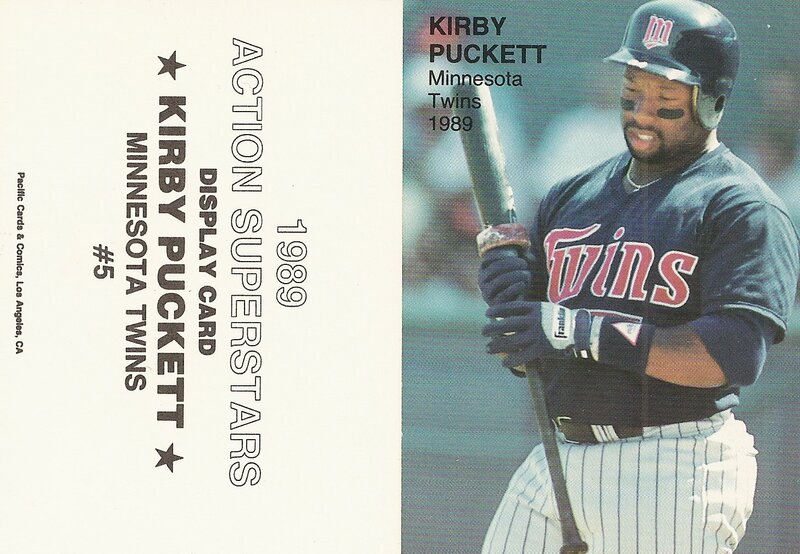 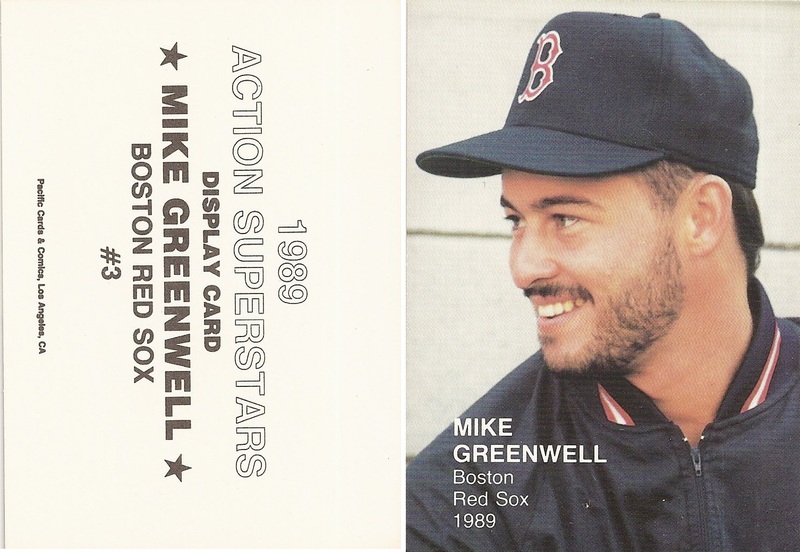 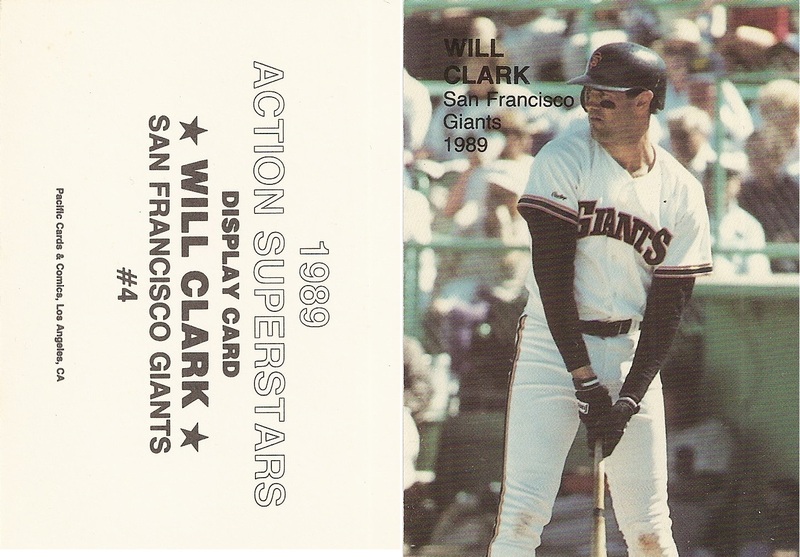 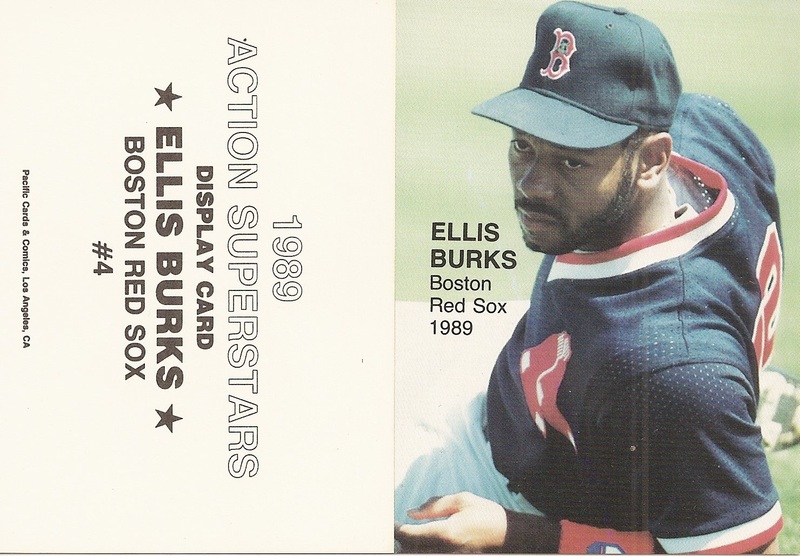 The player name, team and year are on the front of the card while the back includes the same information as well as the set name, card number and manufacturer. 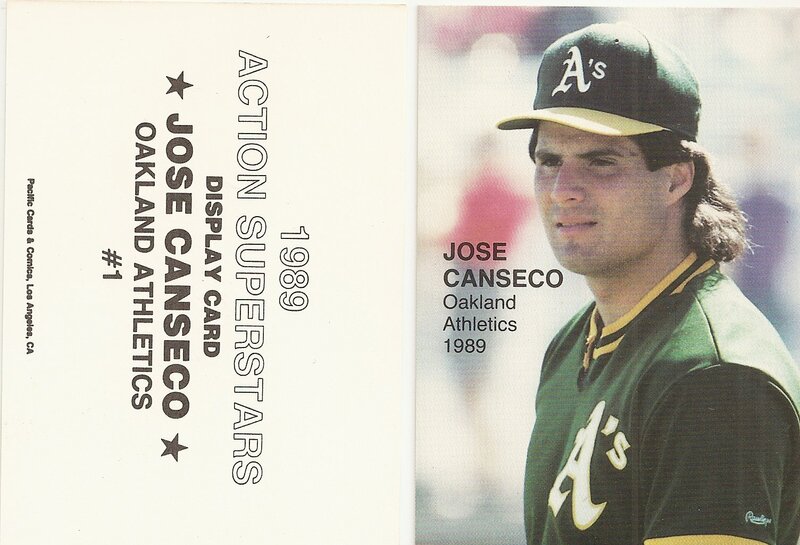 Sometimes there is confusion with the other 1989 Action Superstars Display Cards set that is not identified as a Pacific Cards & Comics issue.